Fundraiser by Karen Popple : Help Ozzie fight Cancer! Ozzie has been a part of the Ballan, Greendale and Blackwood comminity for years. 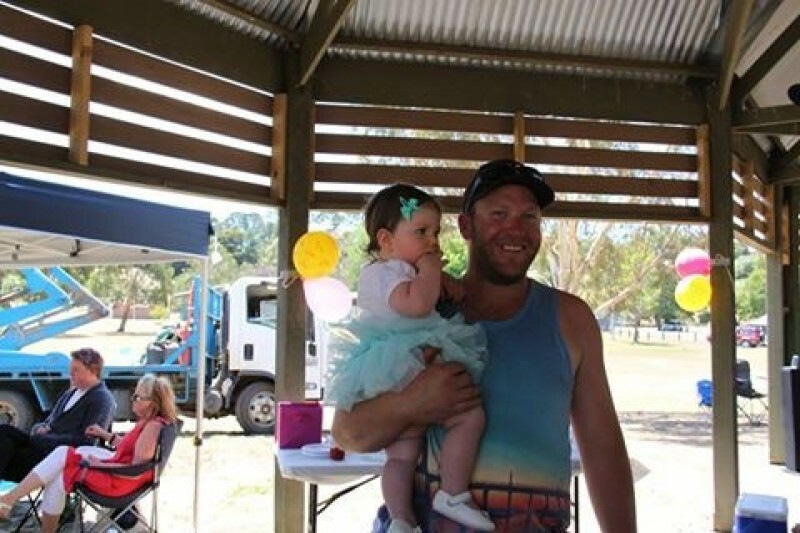 A family man with a heart of gold, Ozzie was diagnosed with Stage 4 Glioblastomas on March 21. Ozzie will undergo radiation and chemo for the next 6 weeks and then solid chemo for 6 months. While Ozzie is fighting the good fight for his family to beat cancer, this all adds up to being awfully expensive and he is asking for your help. Please donate here to help Ozzie create a future for himself and his beautiful family. No amount is too small and all is appreciated. On behalf of Karyn and myself I would like to say a big thank you to all involved in donating to help assist Mathew and his family, it is so overwhelming to see the level of support he is receiving from such a great group of people, love to you all, also much thanks to Karen Popple for setting this in motion. Dianne Winter and Family has handed me a $1000.00 cash donation to pass onto Mathew , Sarah & Molly. Thank you to all that have donated to the Ozzie fund. Much appreciated. Sorry to have missed the fundraiser mate - you're an inspiration to all.